Lucketts Travel has made its most glamorous purchase to date with the addition of a £400,000 luxury coach to its growing fleet. The Irizar i8 will provide the ultimate in luxury travel, with features including a fully-fitted Neff kitchen, seven flat screen HD TVs complete with Sky and the option of an on-board host. It will be the only vehicle of its type in the region and give businesses and organisations the chance to travel in ultimate VIP style. 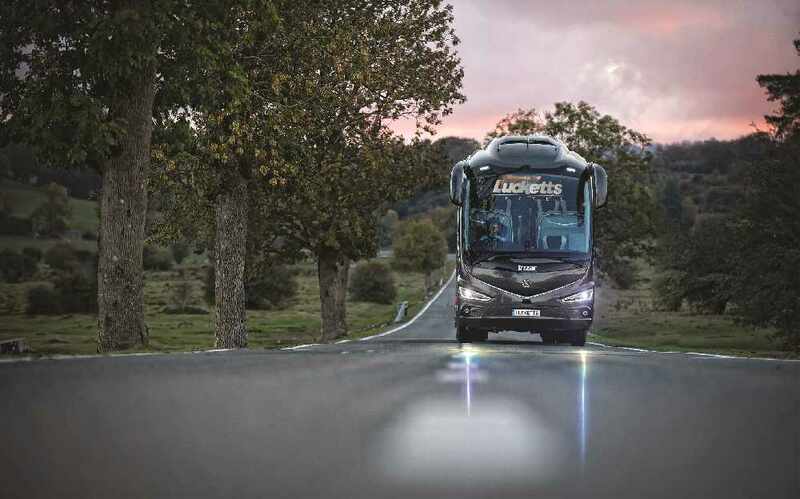 The sleek and state-of-the-art Irizar i8 seats 36 people in the amount of space that would normally be used for a 53-seater coach, with reclining leather seats and tables. The kitchen features two top-of-the-range ovens, a coffee machine, microwave and instant hot water tap. Naturally, the Lucketts VIP coach is fitted with the very latest technology, including Wifi, USB ports, power sockets, DAB radio and Chromecast for guests to stream entertainment from their phone to the screens. It will be available for businesses, organisations and sports teams to hire from September and Lucketts is expecting it to be popular among companies looking to impress their clients or treat their staff. Paul Barringer, group sales and marketing director, said: "Several businesses have approached us asking what we can do to really wow their clients and the new Lucketts VIP coach will do just that. Between the blacked-out windows, luxury leather seats and option of an on-board host, it will be like travelling in celebrity style." The Lucketts VIP coach was built in Spain and is currently being adapted at a specialist conversion company in the UK. It is expected to arrive at Lucketts’ Fareham headquarters in late July, bringing the number of vehicles in its fleet to more than 110. The purchase of the VIP coach comes as part of Lucketts’ £7.5m investment in its vehicles this year. The company is currently undertaking an ambitious growth strategy, in which it aims to be recognised as the number one operator in the region. Paul added: "Our quality and customer service is what sets us apart from the rest. It’s therefore fitting that we should have a luxury vehicle that provides just that - quality on a whole new level." To enquire about booking the Lucketts VIP coach call Paul Barringer on 01329 823755.